ALLEGRA BOVERMAN/Staff photo. Gloucester Daily Times. Gloucester: The Cape Ann Theatre Collaborative presents A.R. Gurney's comedy "Sylvia," at the Gloucester Stage Company. 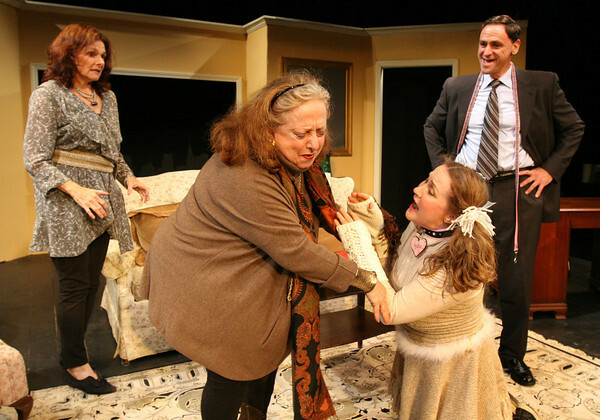 From left, in front, are Jennifer-Lee Levitz as Phyllis and Sylvia, played by Julie Cleveland; at far left is Emily Sinagra as Kate, and Cliff Blake as Greg.